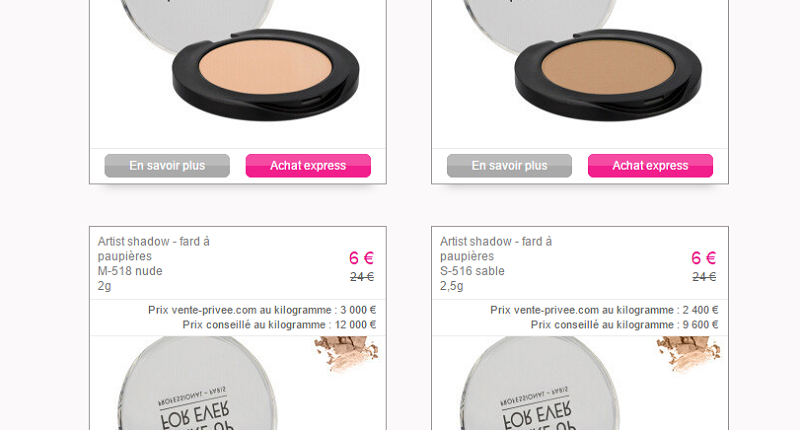 I'm typing as fast as I can to publish this article quickly : a Make Up For Ever sale has been opened since 7 am on the Vente Privée website ! The sale will be open till Monday 25 (next monday) at 6 am but you should get on the website really quickly if you want to get some good stuff : some products are already out of stock like the 15 Artist eyeshadow palette, the Smokey Lash mascara... The most interesting products are quickly out of stock but I guess the meaning of "most interesting" depends on the person ! 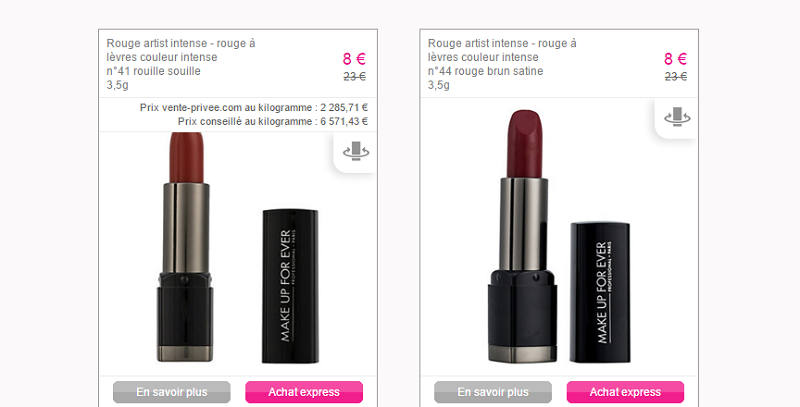 And what seems to be a great bargain : several €12 lipsticks palettes ! They're still in stock, all of them and I think that they're going to be out in no time ! PS : Don't forget that Vente Privée doesn't ship in the whole world, just these countries : Metropolitan France, Corsica, Monaco and Belgium. If you want your items to be shipped in another country, you have to be signed up on one of the Vente Privée European websites, reside and choose a shipping address in the following countries : Germany, Austria, Spain, Italy and the United Kingdom.